EarthSpirit Center is a transdenominational spiritual non-profit organization operating as a Mystery School, whose mission is to serve people of all backgrounds and preferences, build sacred community, and foster transformation and education for students committed to their spiritual evolvement. The objective of EarthSpirit Center is to accelerate the discovery of the true nature of the Soul, its purpose and mysteries in order to empower creative expression and to quicken dedication to loving service through the study and application of spiritual practices. EarthSpirit Center is dedicated to anyone committed to deepening their spiritual growth through a variety of dogma-free modalities, and discovering their deep human and Soul potentials. Students at all levels of spiritual experience are welcome. This work embraces our shared experiences of authentic feeling, creating healthy emotions through unconditional acceptance of all aspects of self, transforming judgment of self and others, releasing beliefs in victimization and rejection, welcoming growth-producing challenges, and embodying expansive and multi-dimensional spiritual awakening. EarthSpirit opens the heart to enlightened understanding, wise insight, and compassion for oneself, others and life itself. All experiences are presented with love, humor, and respect for everyone’s unique expression of the Eternal Source through our human choices. Just as in the Egyptian mythology, the Goddess Isis sought and retrieved each of Osiris’ dismembered body parts and made him whole again, we seek our multiple aspects of being toward an ultimate “re-membering.” This work opens students to a new perception of the mysteries of life and its multiple levels of reality. Students develop new views of purpose, personal ethics and integrity, the true purpose of relationship and work, and much more. None of the work offered by EarthSpirit Center is intended to diminish or replace personal religious or spiritual philosophies. The intention is to enhance and expand experience of the Divine in ways that promote heartfulness, selfless service, non- judgmentalness, joy and expression of the Divine. Celebrate diversity, uniqueness and differences in themselves and all others. We believe in an Eternal Source of all forms of life. Whether that source is called Divine, Spiritual Mystery, God, Goddess, Buddha, Jesus, Muhammad, Great Spirit, Great Mother, or an entire pantheon of deities, we believe in a powerful Presence existing in everything and everyone. We believe that this Presence creates all forms of life in its imagination and passes on this creative force to all beings. We believe that although anyone can choose to use this creative force for constructive or destructive purposes, our spiritual evolution depends upon the wise, generous, and loving use of it. We believe that we can express the Eternal Source through creativity: art, music and sound, ritual, dream theatre, and imaginal exploration. We believe that we experience reality based upon our perceptions, beliefs, experiences, influences by others, deep unconscious patterns; similarly, at any time we choose, we can change those perceptions and thus change our reality. We have the innate spiritual power to change all conditions by transforming fear, changing perceptions and beliefs through deep inner work, and being willing to live these changes authentically. We believe in the right of everyone to have personal spiritual beliefs. We do not attempt to convert anyone to our beliefs because they are founded upon ancient and original mystical principles found in all world religions and spiritual philosophies. We believe in the power and guidance within dreams, intuition and expanded realities, and we courageously trust in the Presence of the Divine in all aspects of living. We believe that life is innately good and that our lives align with that good when we actively express our gratitude for it. We believe that all forms of life emerge from the same Source and make us all One, and that separation and isolation is impossible except as a limited perception. We believe that concepts of heaven and hell originate in the mind and only exist according to our belief in them. We believe we can experience peace in the midst of chaos as well as misery in the midst of joy depending upon our choices of perception. We believe in the importance of healthy emotion as a way to human fulfillment. 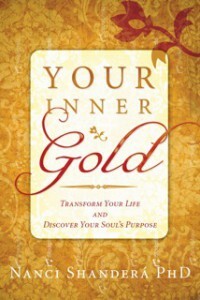 We believe our Souls choose our important life experiences before birth as a way to evolve spiritually. We believe our Souls make agreements with other Souls before lifetimes, even and especially if difficult, in order to assist one another in evolving spiritually. We believe that the Divine Presence is directly accessible to all without the need for an intercessor. We believe in truthfulness, integrity, humor, courage, and unconditional love as essential ingredients for a full, healthy and spiritually evolving life. We believe in the eternality of life and our essential part in it. We believe in the importance of individuality as a unique expression of the Divine Presence. And as such, we embrace diversity and equality in all forms whether by race, sexual preference, gender, culture, age, physical or mental challenges, and personal beliefs as long as they do not seek to judge or reject others’ beliefs. We believe that our life’s purpose is to discover the Divine Presence within and to be everything that we are meant to be as magnificent examples of this Presence. We believe in actively living these principles, and in so doing we become examples of our beliefs.